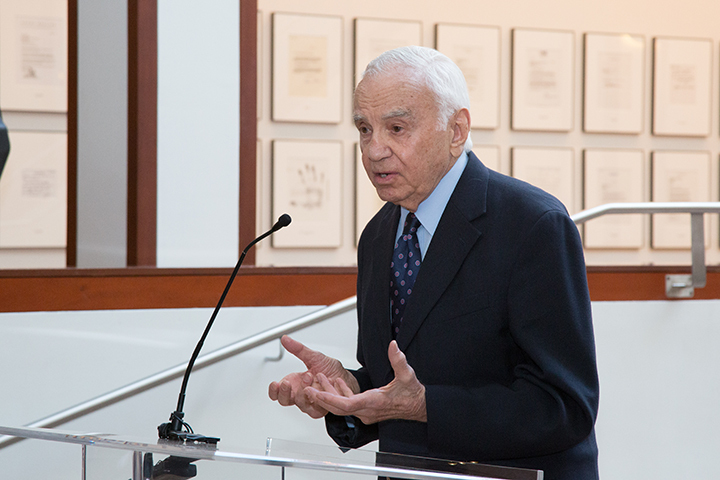 “Absolutely transformative” is how Jerry Isaak-Shapiro, Agnon’s Head of School, described the gift of just more than 17 million dollars from the Joseph and Florence Mandel Family Foundation. In recognition of this gift, the school will be renamed the Joseph and Florence Mandel Jewish Day School. While gifts of this size are certainly rare, the manner in which the funds have been allocated may be unique to the Jewish Day School world. The vast majority of this “mega-gift” will go to an endowment for personnel and programs – increased compensation and professional development for faculty; the addition of a Gifted and Talented Specialist to the school’s already robust Learning Enhancement Team; and an expanded Hebrew Immersion Program. “Our current faculty and staff are immensely talented and dedicated; this grant will allow us to continue to attract and retain the very best professionals and to support them with superior professional development opportunities,” said an enthusiastic Isaak-Shapiro. “The entire Mandel family is pleased that Joe’s family foundation saw this grant as a serious contribution to a better Agnon Day School, and thus to a better educational experience for its students, and indirectly, to a better, stronger, Jewish and general community,” added Joe’s brother, Morton L. Mandel. The gift also provides funds for facility improvements including a new central entrance, upgrades to the building’s façade and an expansion to the lobby. A capital improvements campaign will support additional physical enhancements, including the development of a state-of-the-art science lab and a library/multi-media center, an expanded cafeteria and other facility improvements. Funds raised during the 2014 Spring Auction will ensure that an expanded gymnasium will be part of the initial renovation phase. Founded in 1969, The Agnon School is an independent, coeducational day school that fosters academic excellence and character development by fusing superior general studies with dynamic Jewish learning. As Cleveland’s only community Jewish day school, Agnon enrolls more than 350 students, ages 18 months to eighth grade, from all Jewish denominations, practices and degrees of observance. The Agnon School serves as a national model for Jewish day schools, where staff and faculty continuously learn and set best practices.